The incredible “doorway” to Jam Up Cave stands eight stories tall and is more than 1,000 feet across. 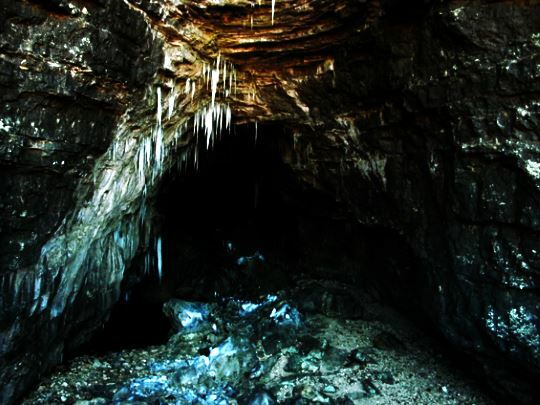 Due to the indirect light reaching deep into this North-facing opening and the large lake within the cave, conditions are perfect for preservation of plant species that have not been seen elsewhere in the Ozarks since the last Ice Age. Access to the cave is only by canoe from the Jacks Fork River. Follow the path about half way up the bluff and you will find the entrance to this long cave.